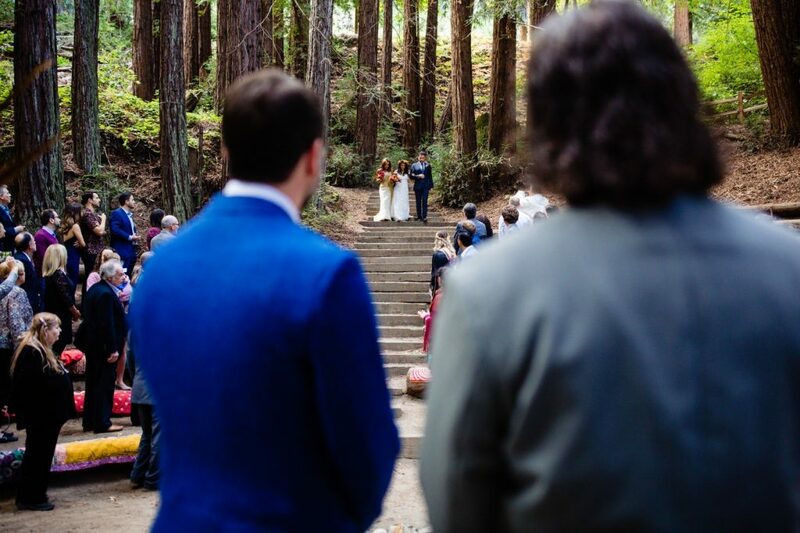 In 2003, Fawn and Josh lived next door to each other in college. 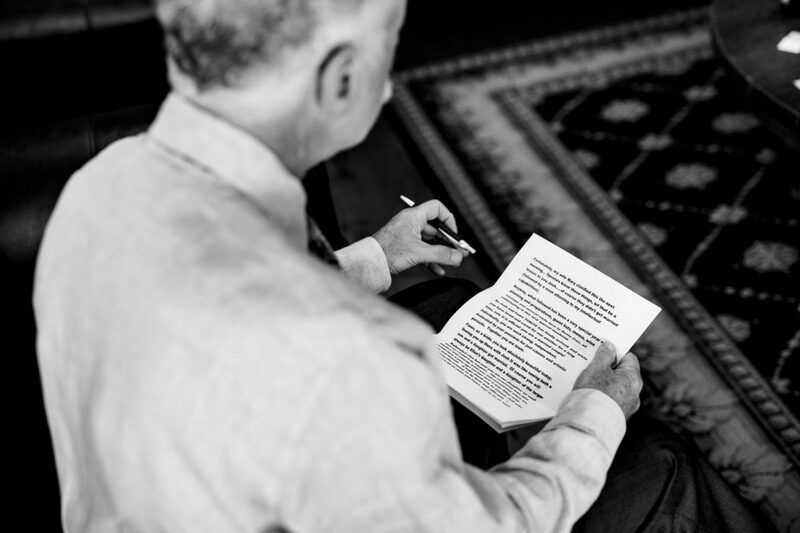 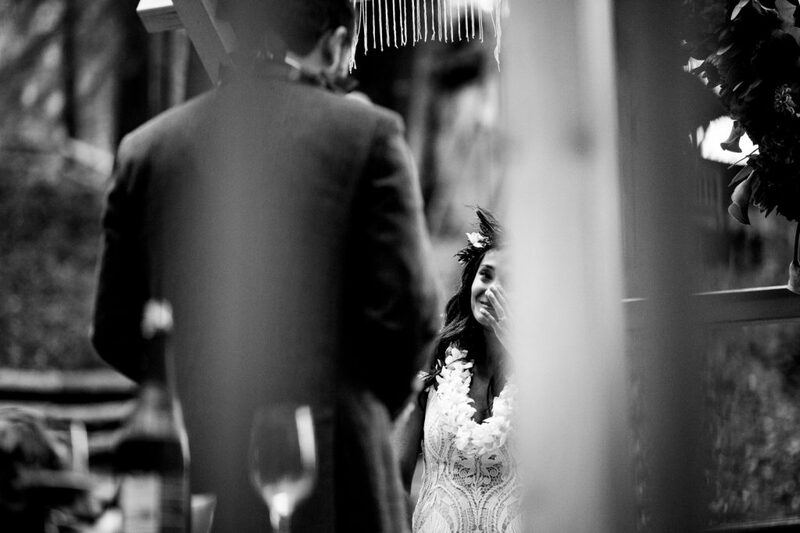 Despite the proximity, they did not meet, or at least cannot remember meeting back then. 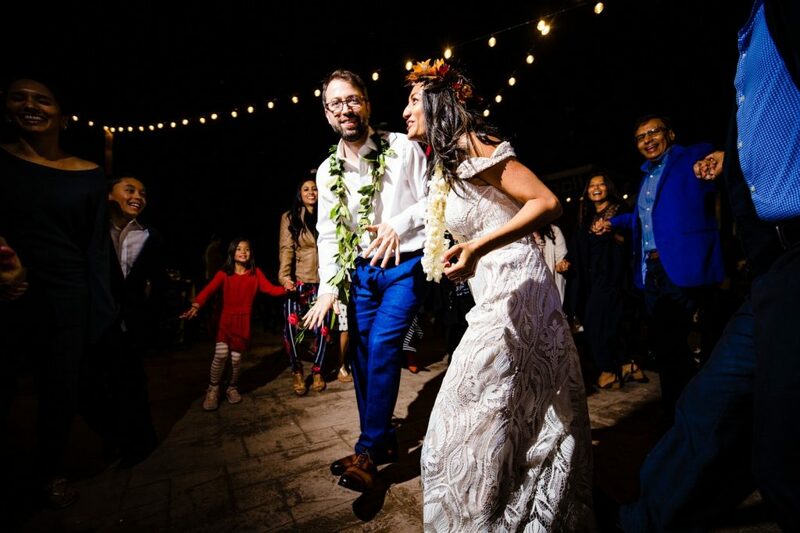 Many years later, after embarking on separate adventures, Fawn and Josh each found their separate paths to Oahu. 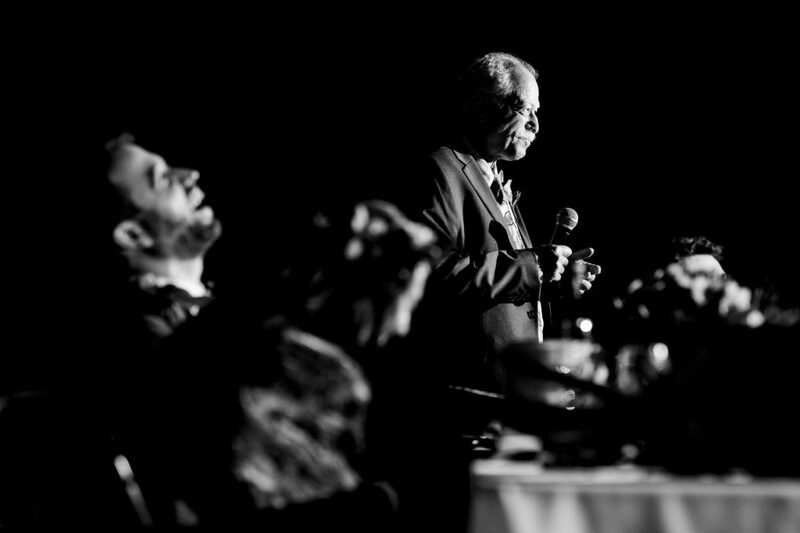 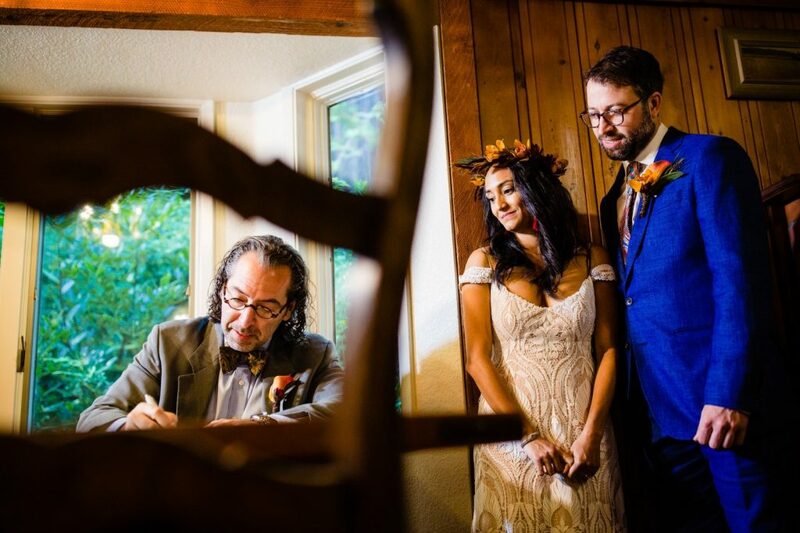 In 2014, they were introduced by mutual friends and they quickly discovered they had been neighbors in college a lifetime ago, shared a love for travel and the arts, and cared deeply about many social justice issues. 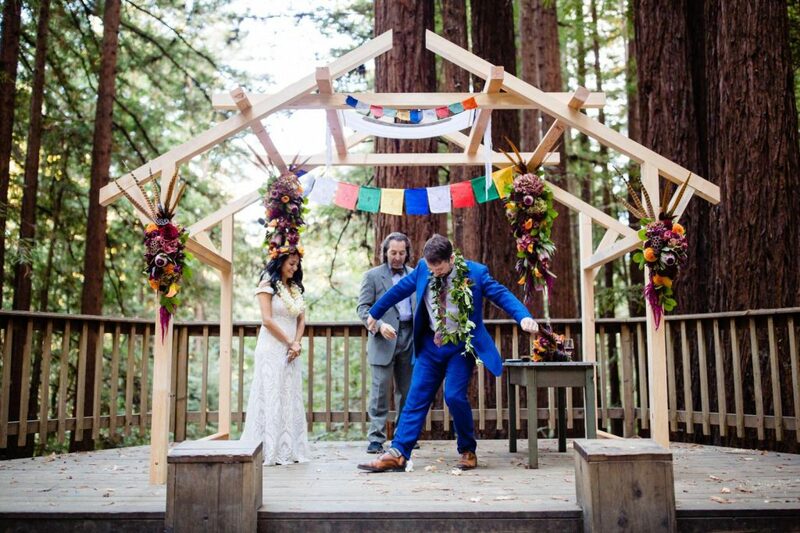 Josh was not equally as passionate about cats, composting, or studying feminist theory as Fawn, but they hit it off anyway. 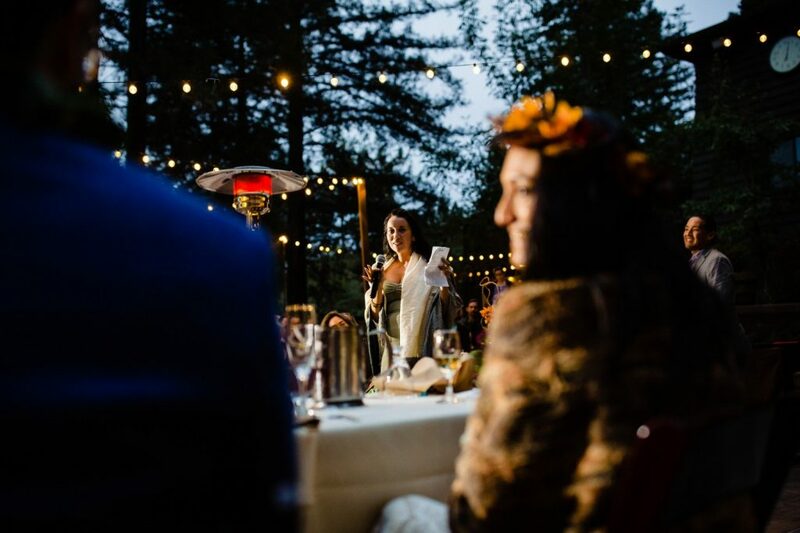 At the end of the night Josh offered to jump start Fawn’s car, Fawn got slightly electrocuted, sparks flew (literally), and the rest, as they say, is history. 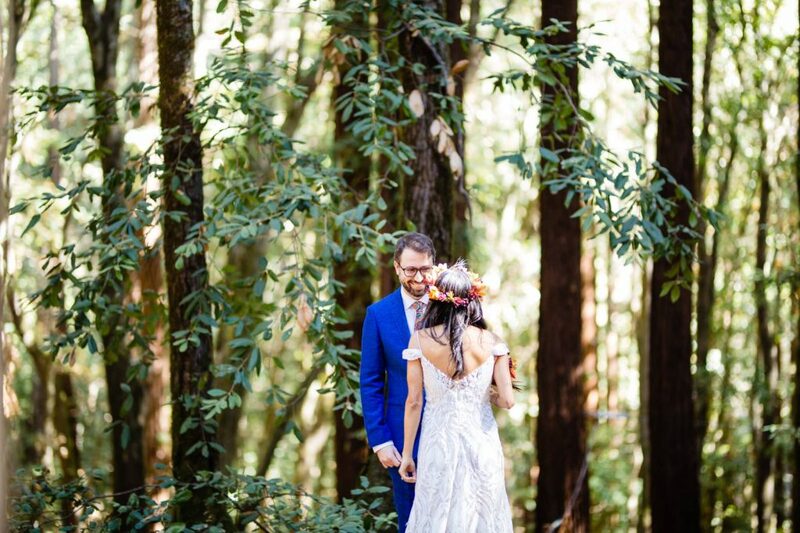 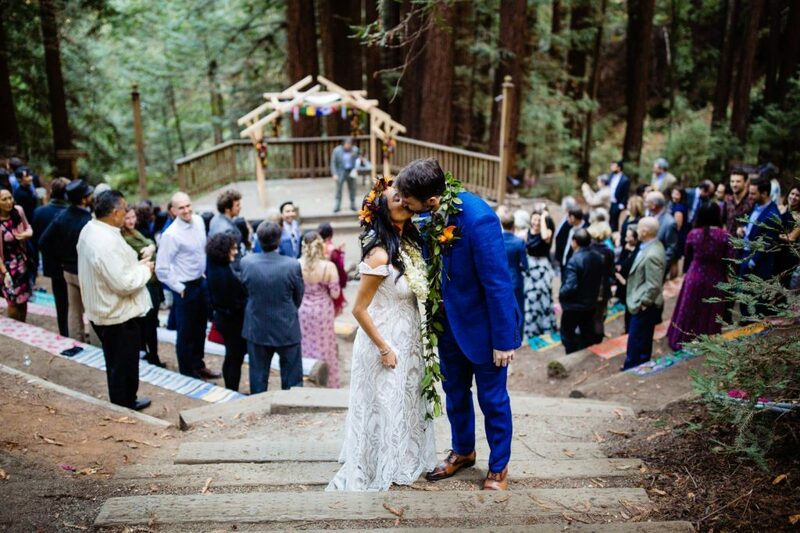 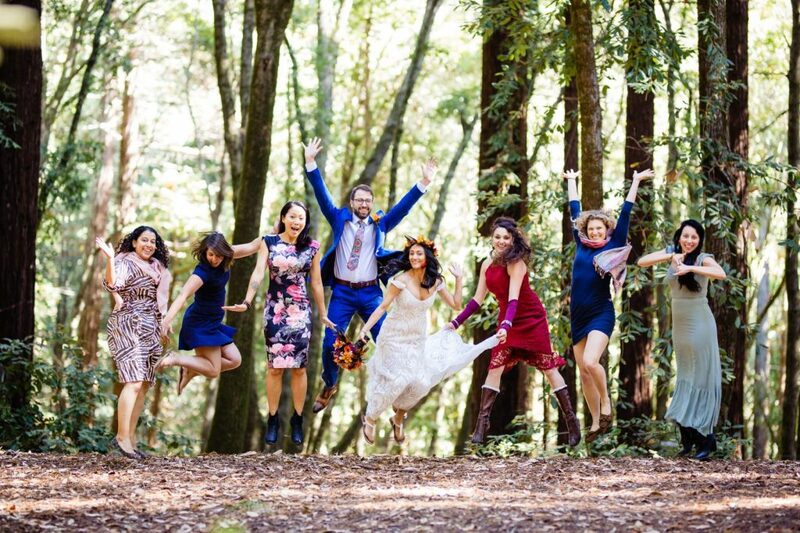 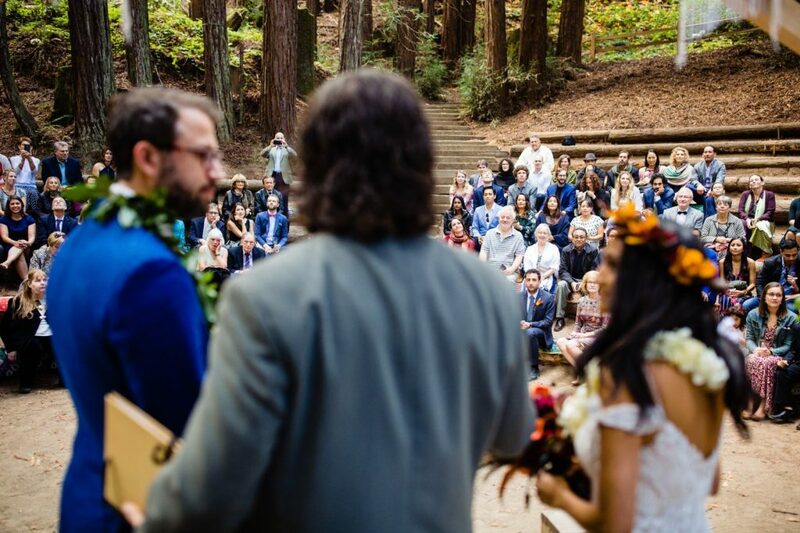 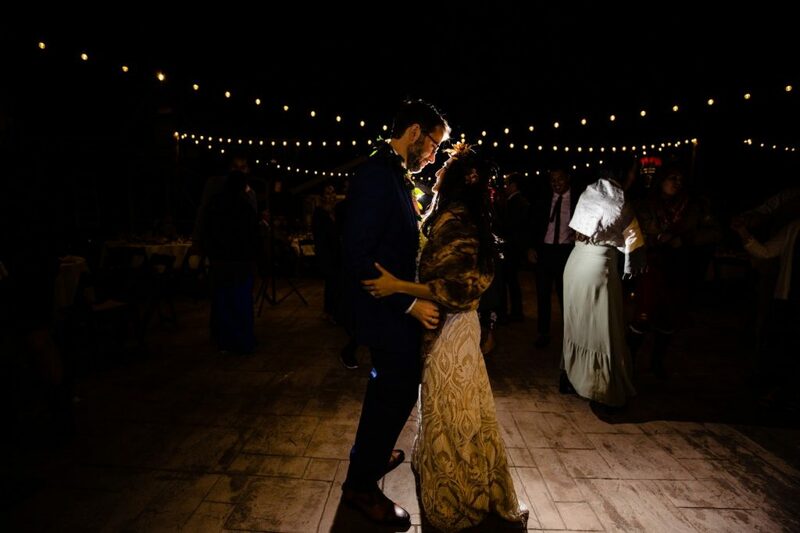 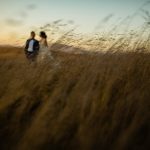 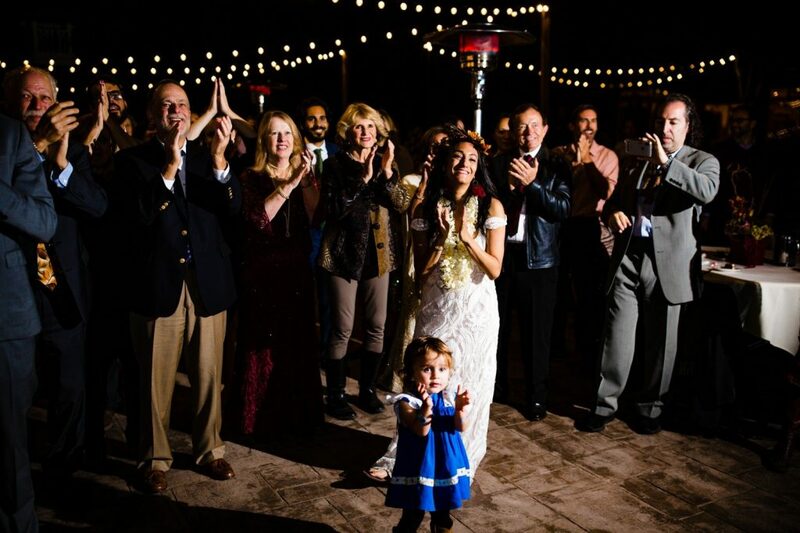 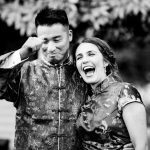 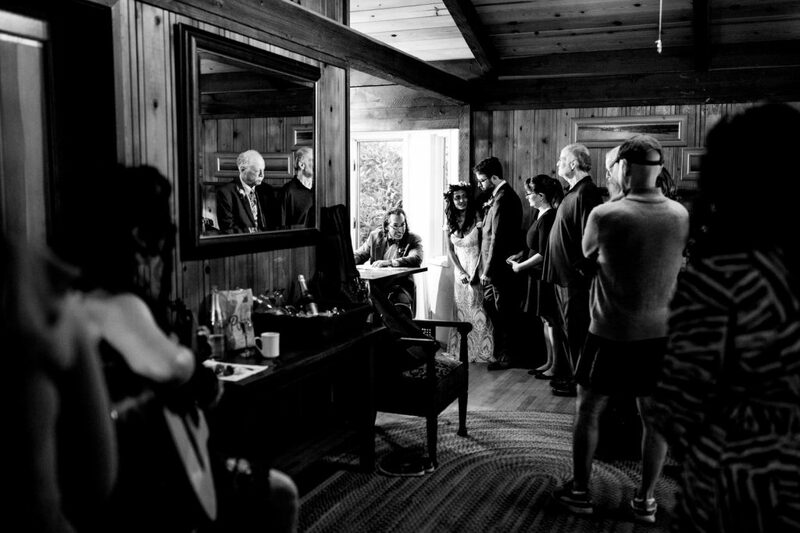 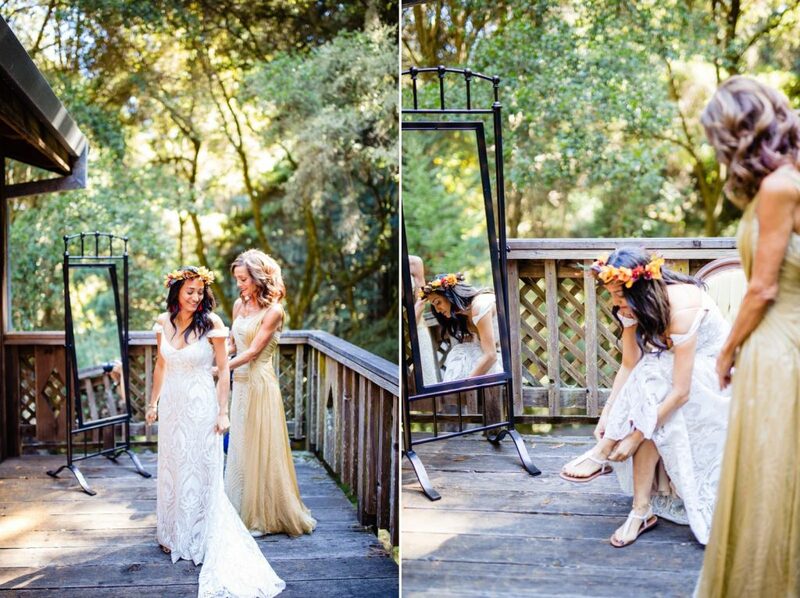 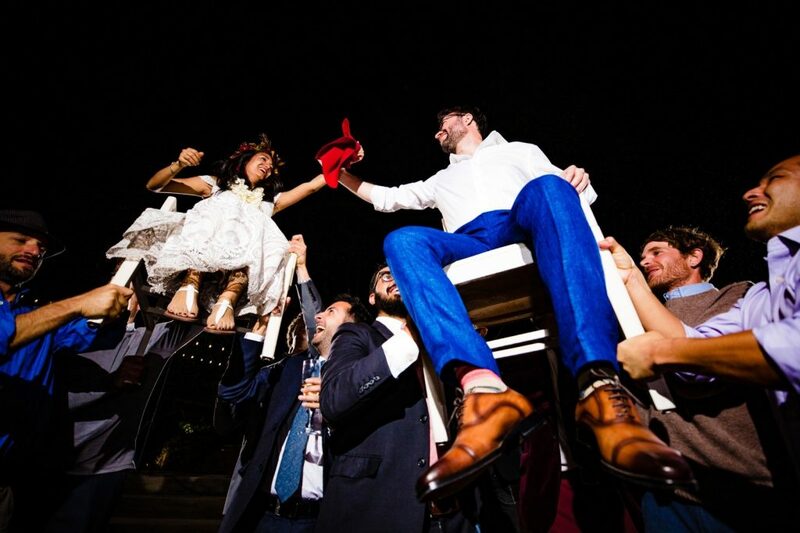 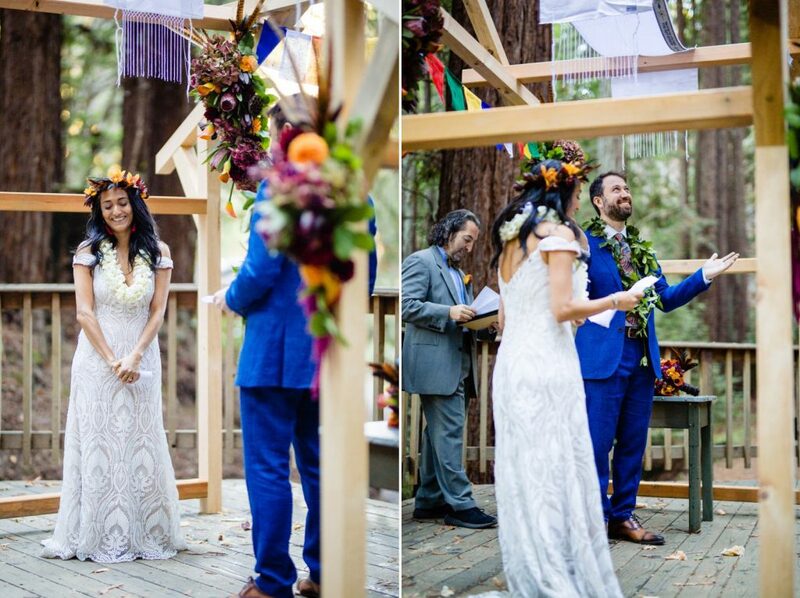 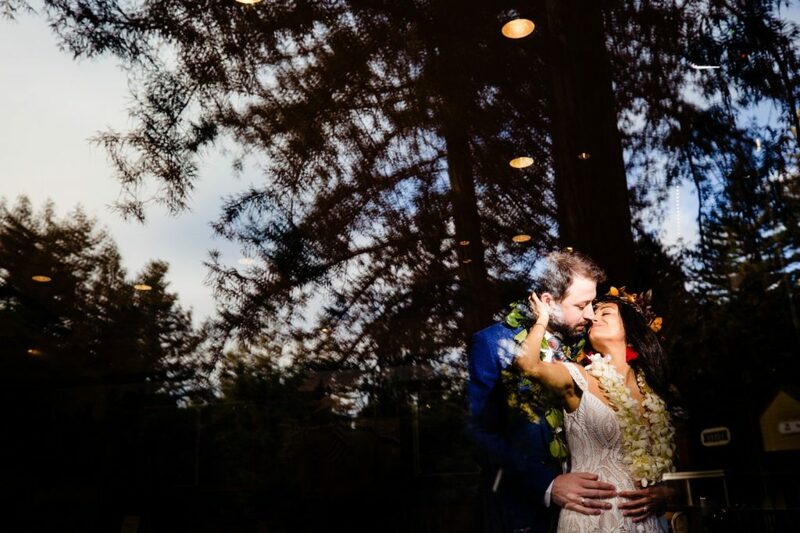 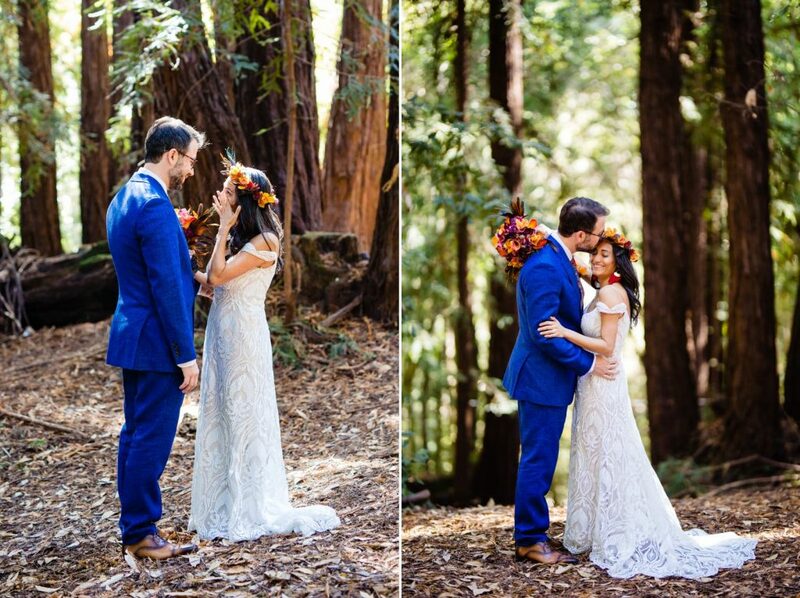 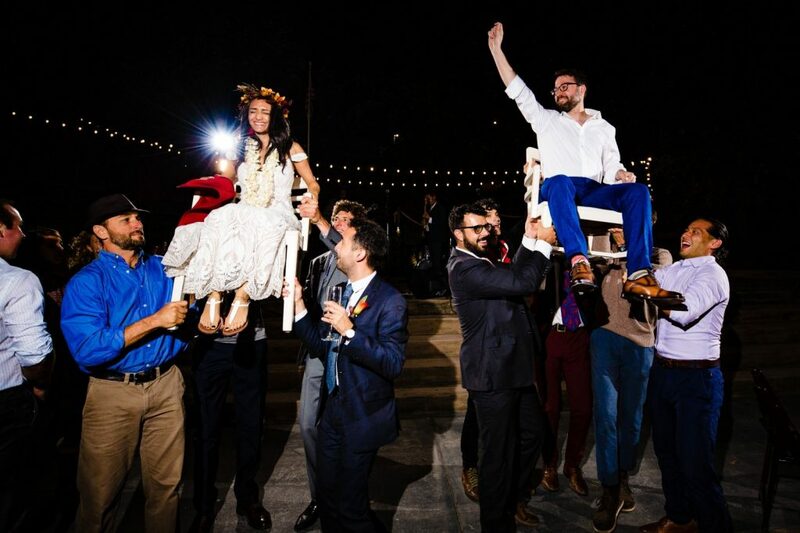 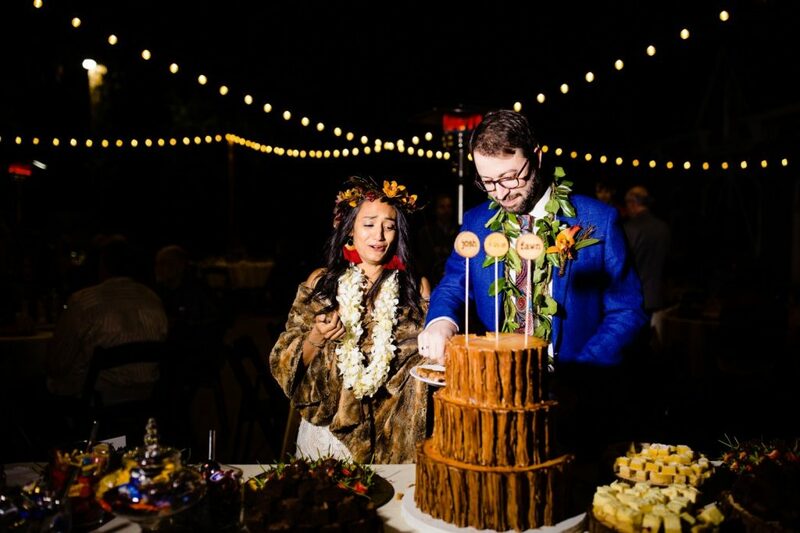 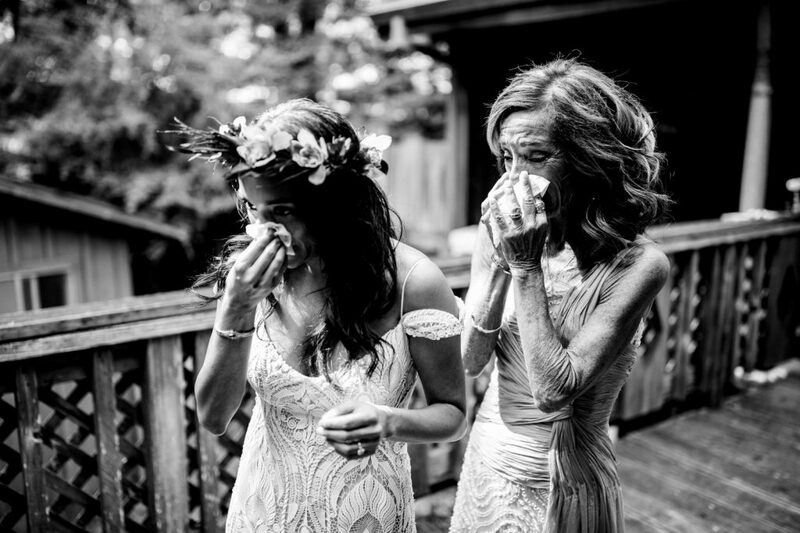 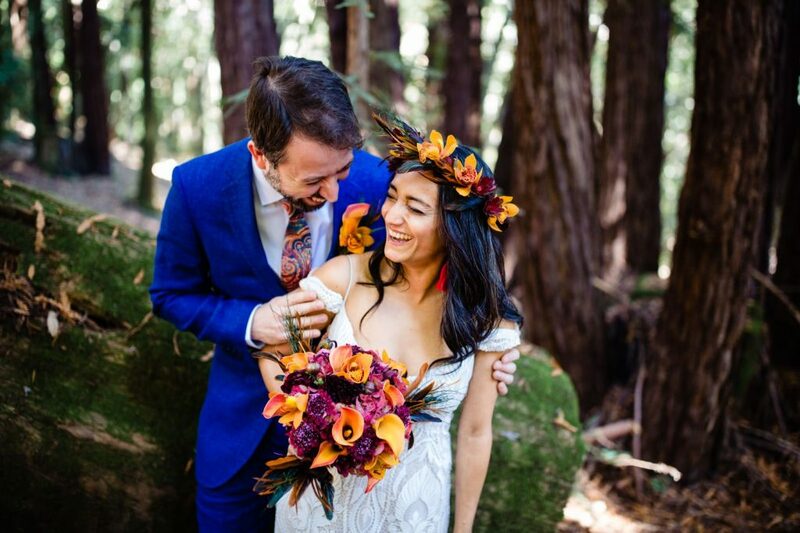 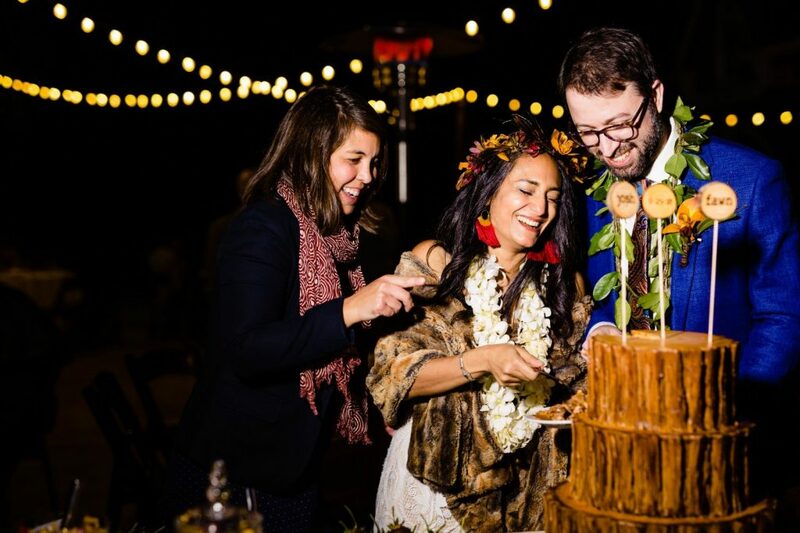 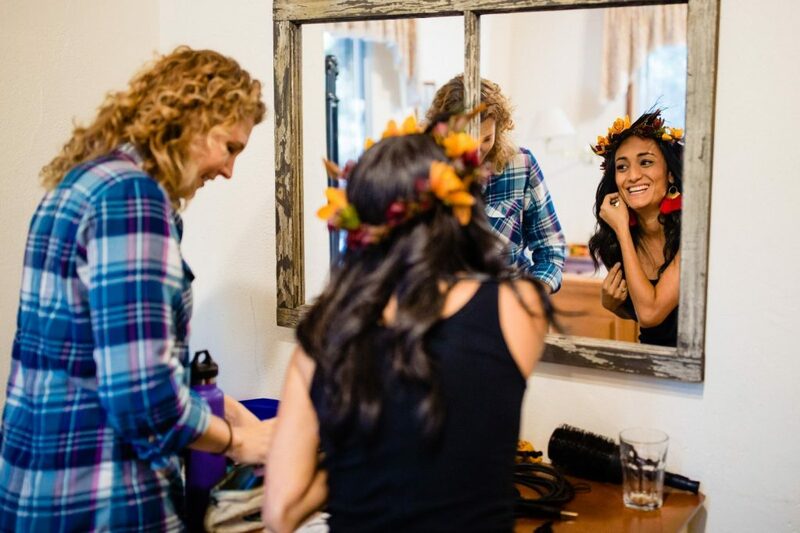 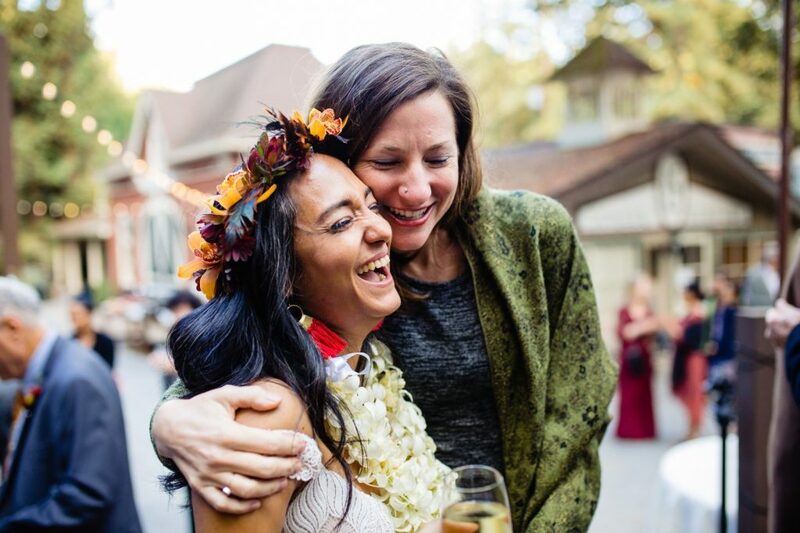 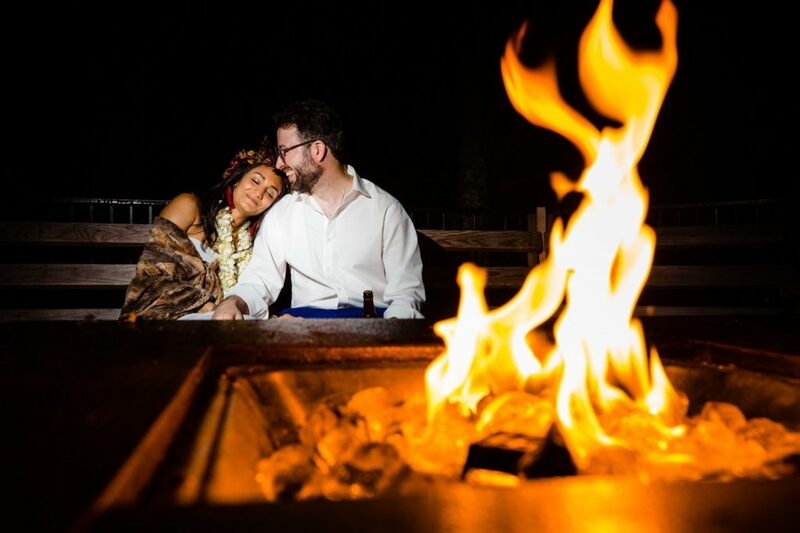 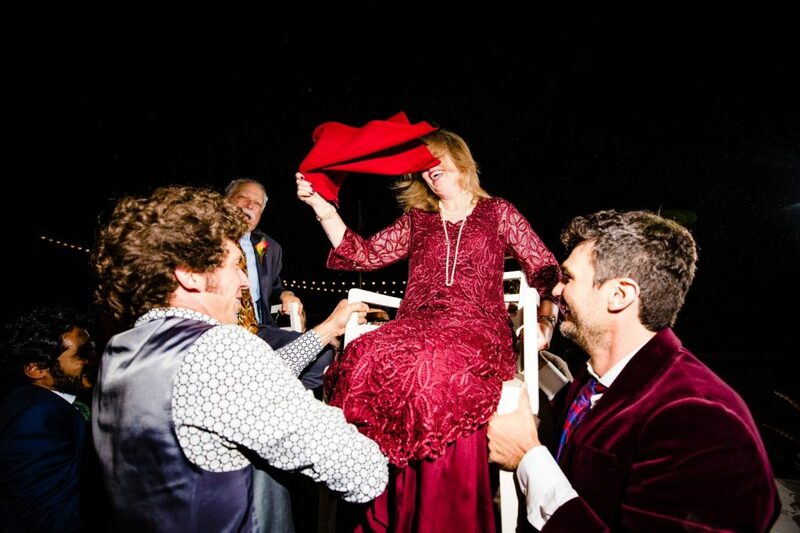 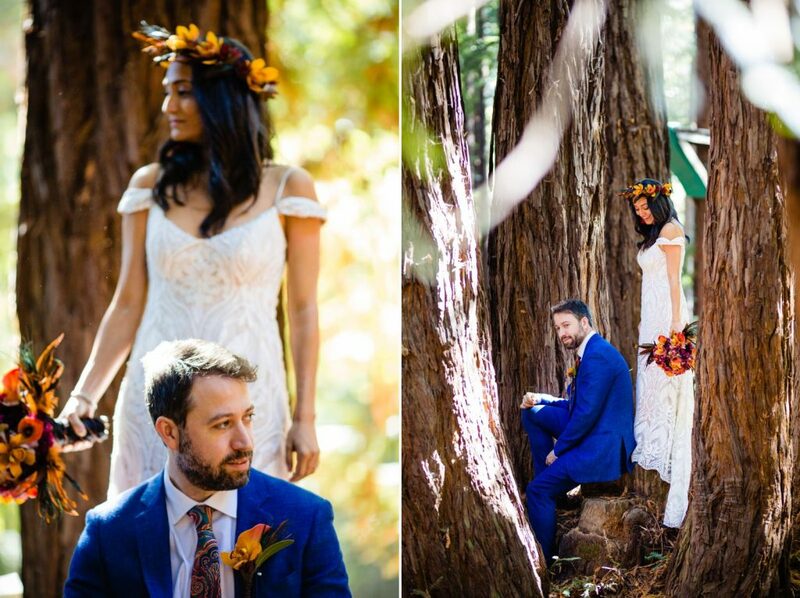 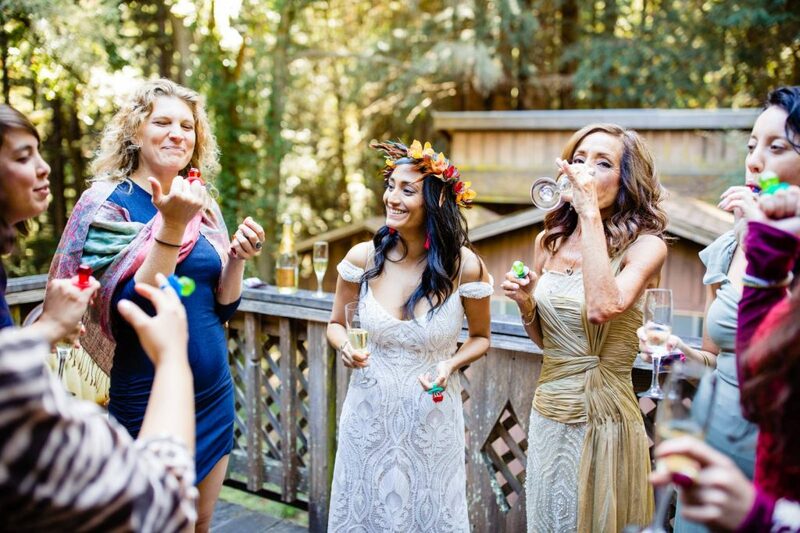 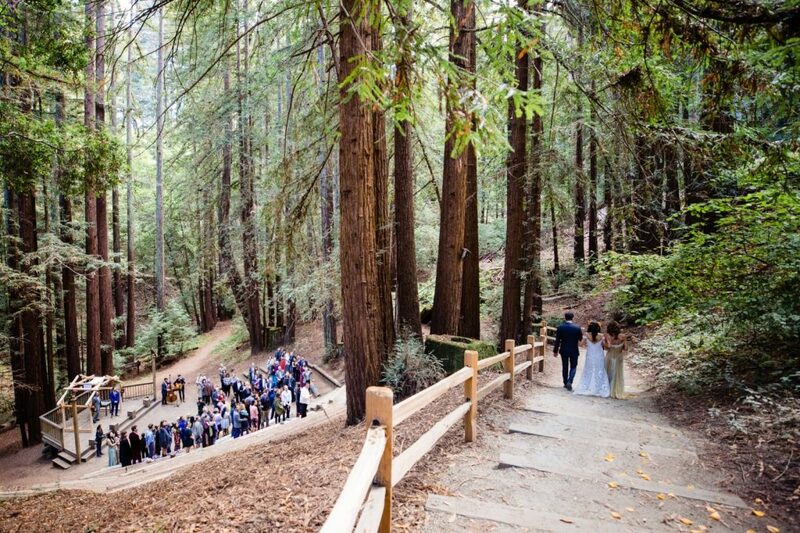 For their wedding, they planned a weekend retreat in the redwood forest so they could spend quality time with their friends and family traveling from across the globe for their special day. 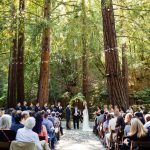 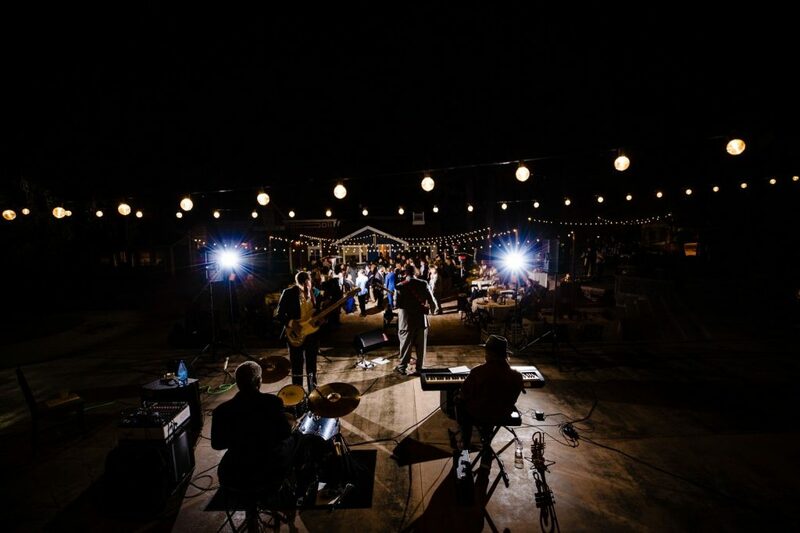 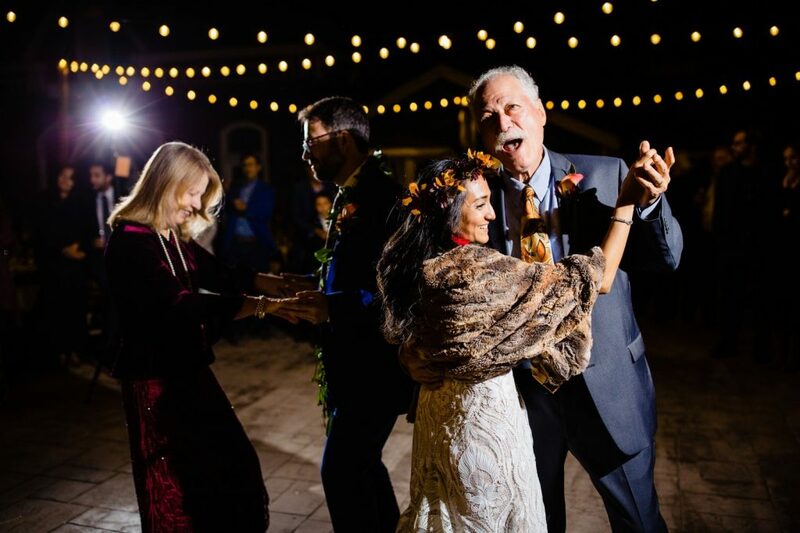 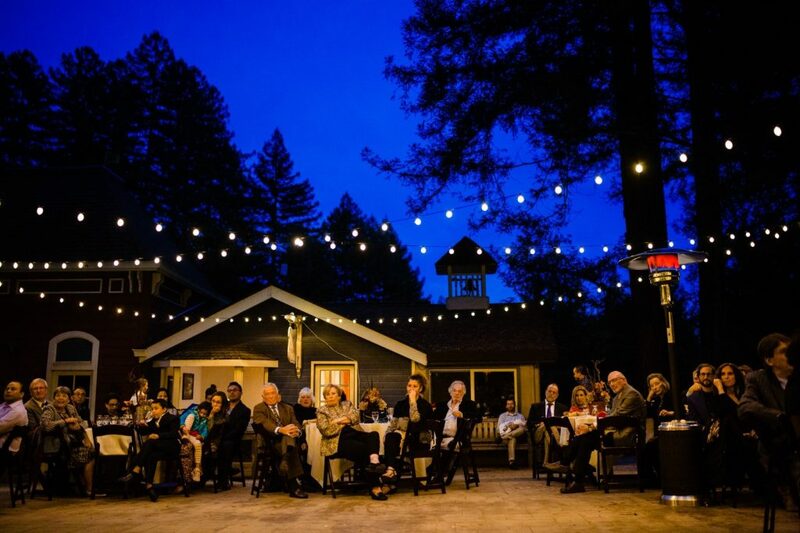 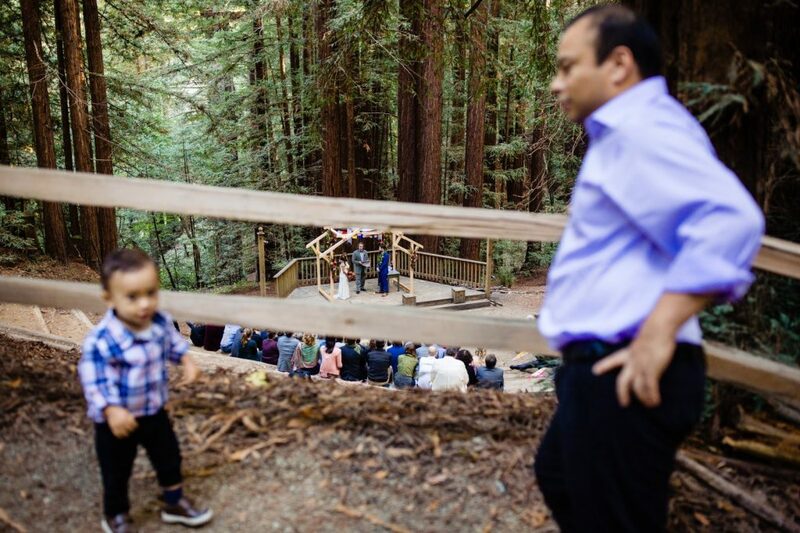 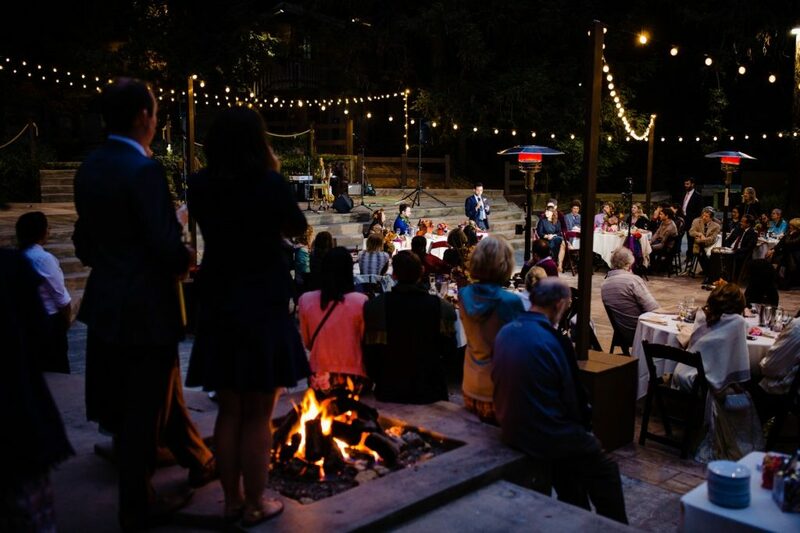 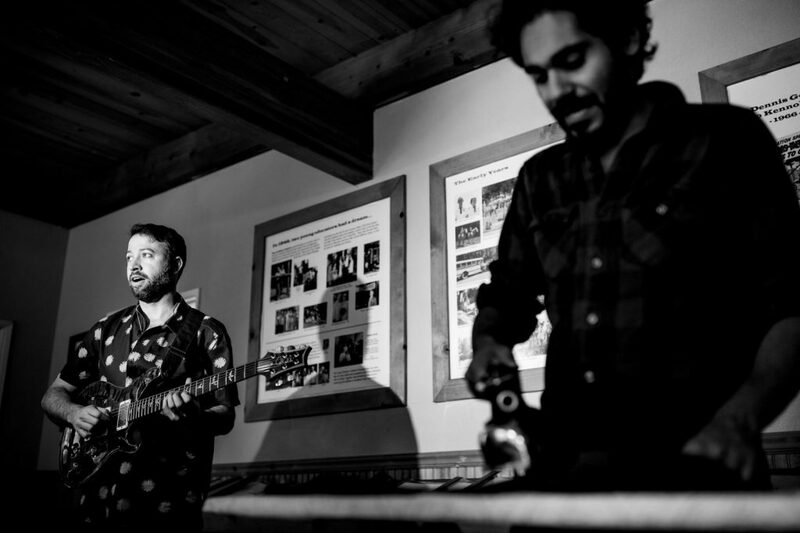 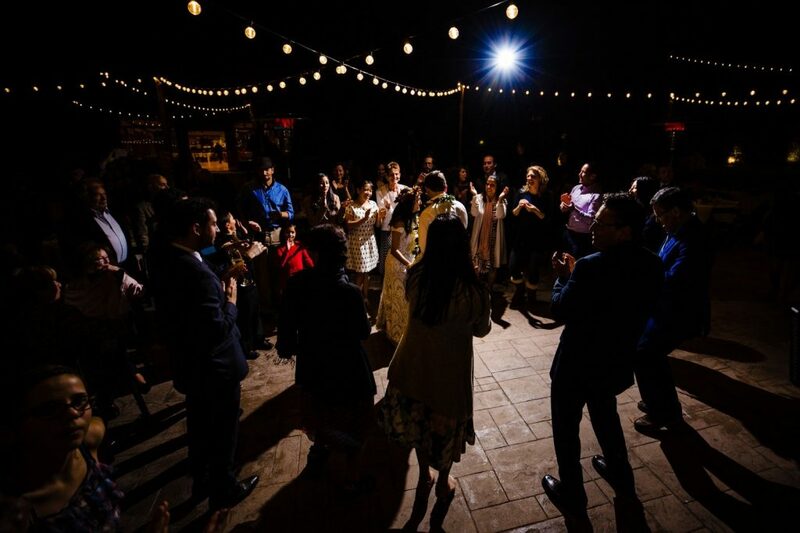 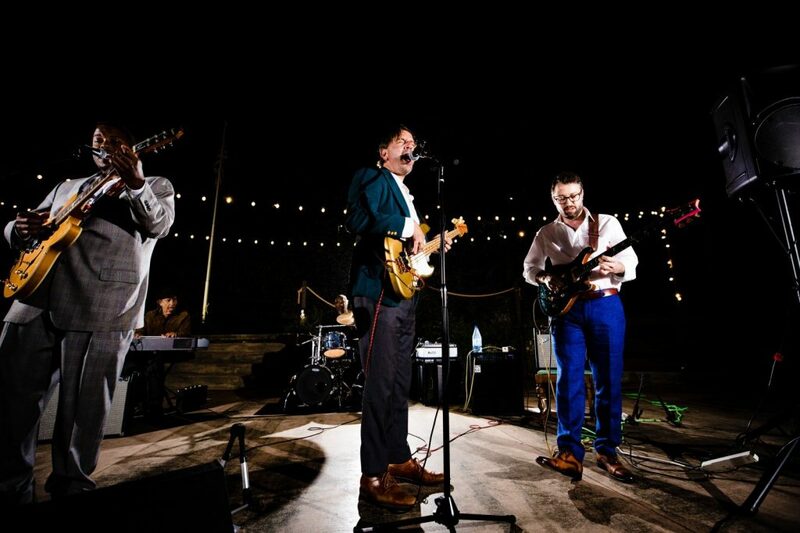 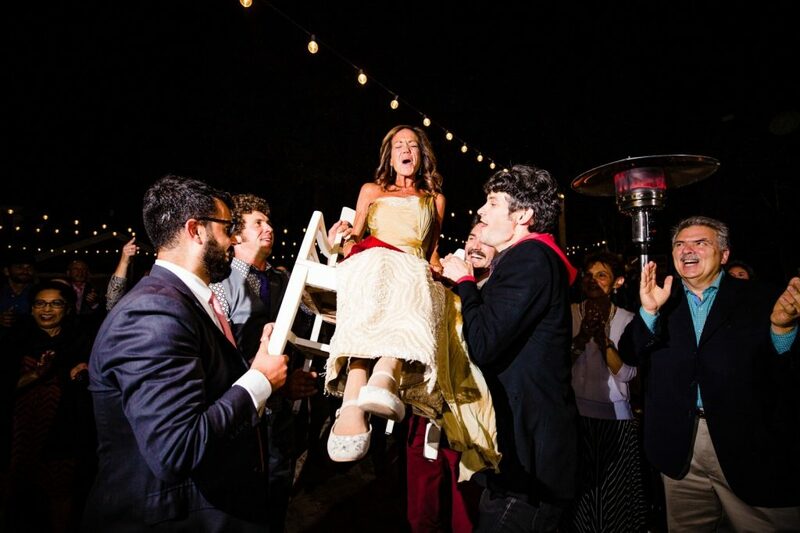 That was why they chose Kennolyn Stone Creek Village which offers a perfect rustic wedding setting complete with cozy cabins, campfires, and hiking trails through the redwoods.